Thanks for the further comments, I appreciate you taking the time to explain your points. In this situation, the product in its current state is fundamentally flawed. This could be for a variety reasons, perhaps user research didn’t happen before product build, so the wrong user problem (or no user problem) is being solved by the product; perhaps the market has evolved since the product was built and now there is a significantly different problem to solve; or perhaps the product build was executed poorly and so failed to solve the problem it set out to in the first place. Regardless of the cause, I would expect a good product manager to redo the user research with their team, then figure out whether it’s still a valuable enough problem to solve, whether it’s technically possible to solve the user problem, and whether it’s still financially viable to create a production-class replacement. This is likely to mean a significant reset of the product, perhaps even discarding the current product completely to avoid pouring good money after bad. When thinking about product manager performance, all too often I see the situation where a product manager is seen to be underperforming because they’ve decided to kill a flawed product – the organisation only sees the investment they’ve already made in the product so far and can’t bear to throw it away, despite it being a sunk cost already. Developers not knowing what to build would suggest they’re waiting for someone to spoon-feed them requirements. I don’t believe this is a good way for delivery teams to operate. What the team needs to be working on is determined by the team in response to their evolving understanding of the user problem they’re trying to solve, and later how well their product is solving the user problem. Now, if the developers don’t understand the user problem they’re trying to solve in the first place, and why it matters, then this points to a wider dysfunction, namely that they as a team are not close enough to their users. While this is certainly something a product manager can help to solve, I’d argue it’s by no means her problem to solve solo. The whole team – developers, designers, user researchers, content designers, delivery/project managers and product managers – should all get at least a couple of hours in front of real users every six weeks. In other words, developers and everyone else on the team should have intimate understanding of user problems because they’re all taking the responsibility to go out and observe them, rather than waiting for the product manager to proxy it to them. Similar to the point above, it’s the responsibility of sales and marcom people to get closer to the user research that a delivery team is generating, just as much as it’s the delivery team’s responsibility to make that user research as visible and easy to understand as possible. Good examples I’ve seen include delivery teams giving all-access “show the thing” talks every week. Key findings from user research and discovery are shared with whoever in the organisation wants to turn up and listen. Other examples include posting up recent research findings in public areas like a break room or cafeteria. Again, a product manager can help to solve this, but is by no means the sole provider of the solution. I’m not 100% sure whether you mean the speed with which a new product manager learns about the market for their product, or whether you mean how well the organisation as a whole conducts its market research. If the former, then I agree, a product manager should be able to get up to speed with a new product and market quickly – my view is they should be in a position to make informed decisions about their product within a month of joining. If the latter, then again it’s a broader dysfunction in the organisations and not one a product manager can solve solo. It would suggest to me that market research is too broad and unfocused to be meaningful, or that market research is too far removed from the user research into specific problems that products could be solving. Generally, the problems I see in specific delivery teams, especially startups, is a desire to try and solve to big a market problem for too large a group of users. There are too many nuances and exceptions because the problem by its nature is complex and multifaceted. Instead, with limited time (or funding runway) and people available to successfully and viably solve a market problem, my advice is always to narrow the focus, to find a smaller problem to solve for a more specific group of users. Then look at adjacent problems for the same set of users, or adjacent user groups for similar problems, and expand from there. Hopefully that gives you a bit more context on why I don’t think the ability of a product manager to solve these problems you’ve suggested are necessarily the best way to assess their performance. I’m also not saying that the way I happen to have done it at MOJ is the only way to do it – I just want product managers to be assessed primarily on their ability to be a product manager, not their ability to perform other roles outside of product management. I totally concede this is hard to delineate, given that product managers often end up fill gaps on teams that would typically be occupied by user researchers, designers and so on, but that’s the point of discussing it. Jock, I’m going to take each of your points individually and then propose a simple, overarching clarification that may help us reach agreement. Yes. However, this point argues in favor of looking at the product manager’s performance through the lens of building and selling products that provide value. A product manager who inherits a product and decides to throw it away is not responsible for the company having attempted to sell a product that provides little to no value. On the contrary – she has solved that problem. The requirement is the problem, or the absence of it, as I have argued since 2005. Developers not knowing what to build comes precisely from not understanding the market problems and from not having a shared understanding of which ones the team has chosen to solve. It is true that product managers do not bear 100% responsibility for ensuring each and every developer understands these things, but product managers lead that process, including by encouraging and facilitating access to customers. Who said anything about a product manager throwing information at sales and marketing? The most effective product managers facilitate conversations, leading to a shared understanding of the target market, that empowers sales and marketing to articulate the value of the product in terms of market problems. I meant how quickly the team learns. To learn quickly, the team needs leadership and processes that facilitate learning. Some of the most effective product managers know how to work with, and coach, teams to design experiments. And as I mentioned previously, facilitating conversations about, and access to, customers can also accelerate learning about the market. So insofar as they are successful in applying this sort of leadership, product managers empower teams to learn faster. We can evaluate product managers in terms of their abilities or in terms of their contribution to outcomes that provide value to the organization. Your proposed evaluation criteria focus on abilities and not on actual contribution to valuable outcomes. You have rightly pointed out that a product manager cannot single-handedly solve the problems she is hired to solve. Thus we cannot simply evaluate her performance in terms of having solved these problems. However, note that I have repeatedly used such words as “empowerment”, “contribution”, “facilitation”, and “extent”. We can and should measure the contributions a product manager makes to solving the problems. Measuring such contributions will not be scientific or rigorous, but we shouldn’t give up and just measure her abilities. 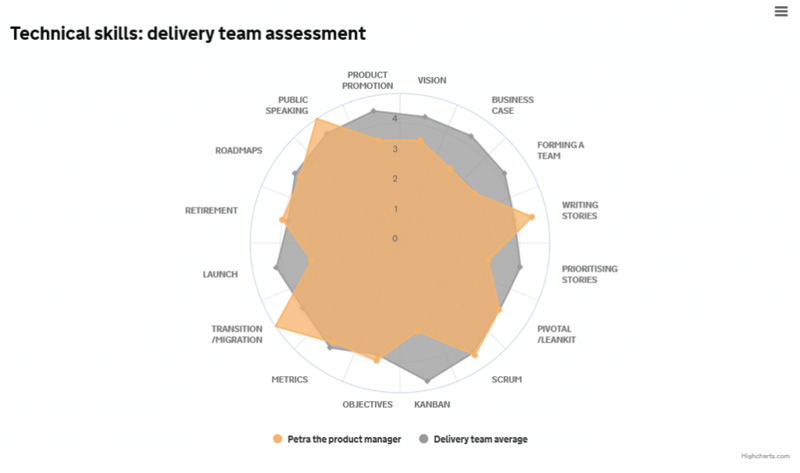 A 360 review of internal stakeholders, combined with the right questions that get at the extent to which the product manager, with her limited role, empowers the team to overcome the problems, can be a useful indicator of her performance. I think I understand where we differ in opinion. 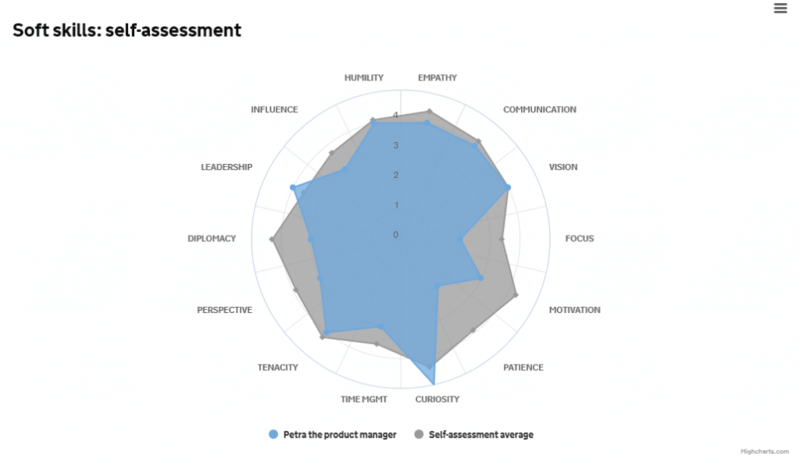 Measuring product managers on their contribution to outcomes that the organisation values only works when the organisation values the right things – and that’s not always the case. In an ideal scenario, an organisation will recognise how good product management actions ultimately deliver value to the organisation. In this case, I absolutely agree that a product manager’s performance can be measured on their contribution towards good outcomes. However this relies on the organisation having a good understanding of modern product management, which is still not widespread. More often than not, organisations tend to place value more on macro measures such as revenue / profit, market share, reduced cost base, customer satisfaction and similar. In larger organisations, a product manager typically can indirectly influence these factors, but is not often in direct control of them. 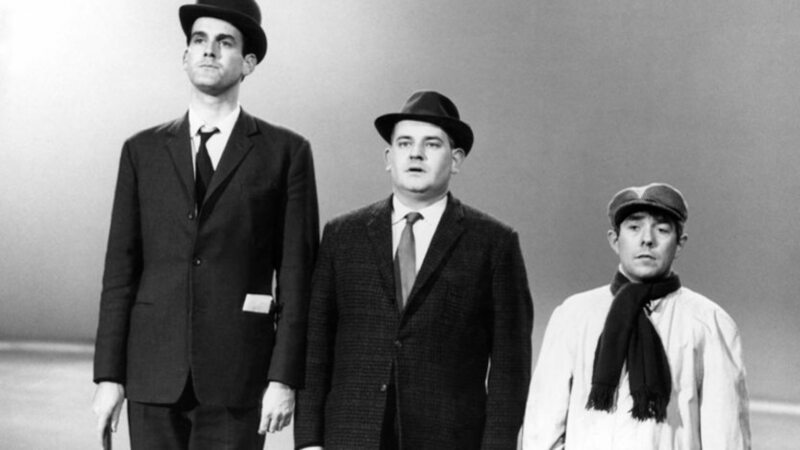 In smaller organisations, there is more scope for a product manager to affect them directly. And I think that’s why we differ in opinion. Your experiences may well differ to mine, and that’s okay. I don’t think this is a “right way” or “wrong way” kind of discussion. We’ve both offered different approaches, and it’s up to readers of this blog to figure out which of the many available approaches suits their situation best. Thanks again for contributing to the debate!